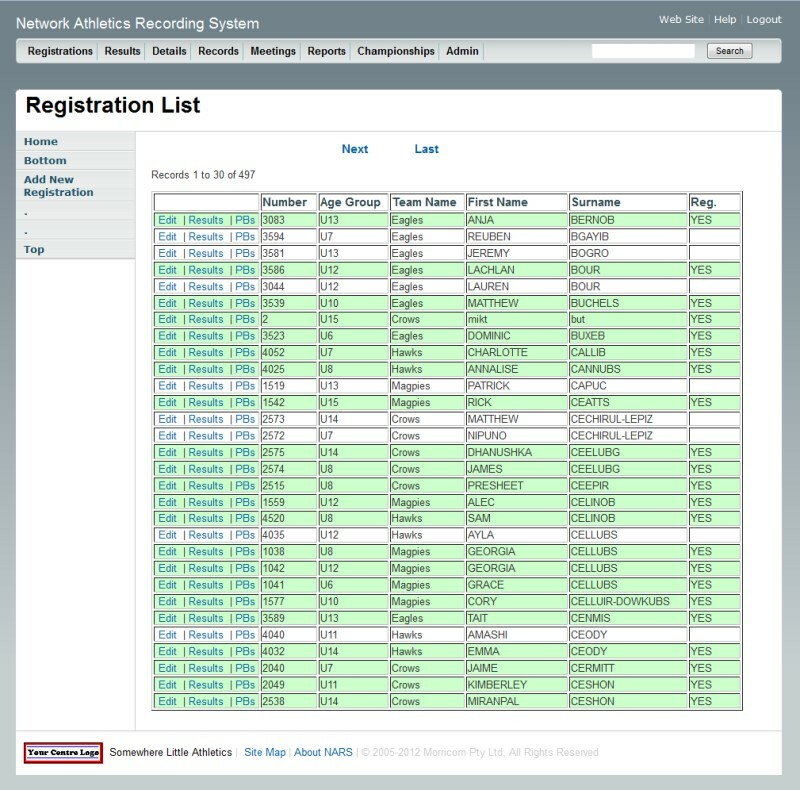 NARS is a powerful, web based recording and management system, developed for Little Athletics Centres to automate and streamline recording and processing of athlete details and results. NARS provides information quickly, securely, and easily to any authorized person in your centre. 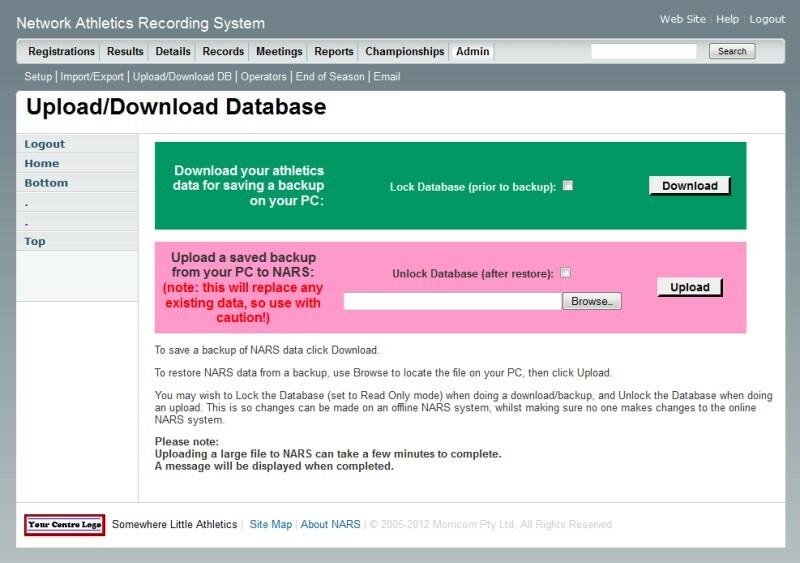 The process of recording athletics data can now be easily shared amongst any number of helpers. 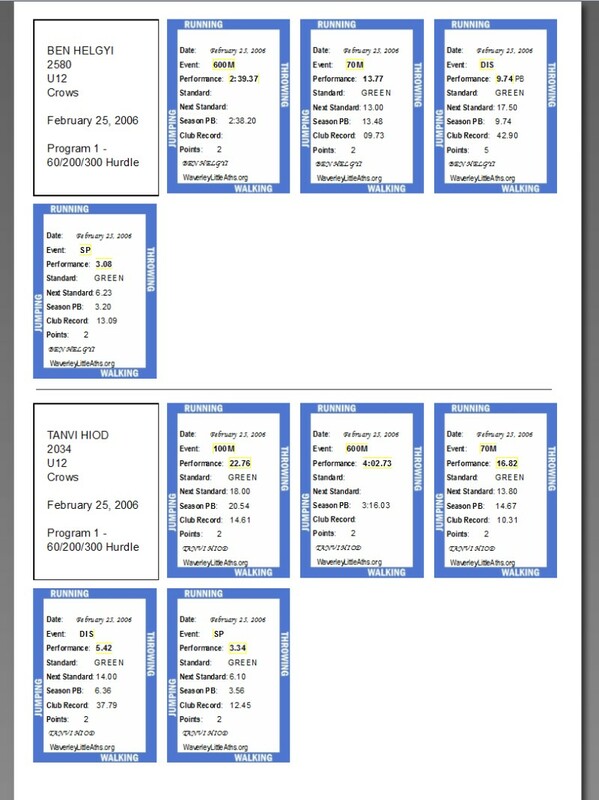 Reports and information are now readily and quickly available, unlike old legacy systems where these were only accessible by one person. users computers. 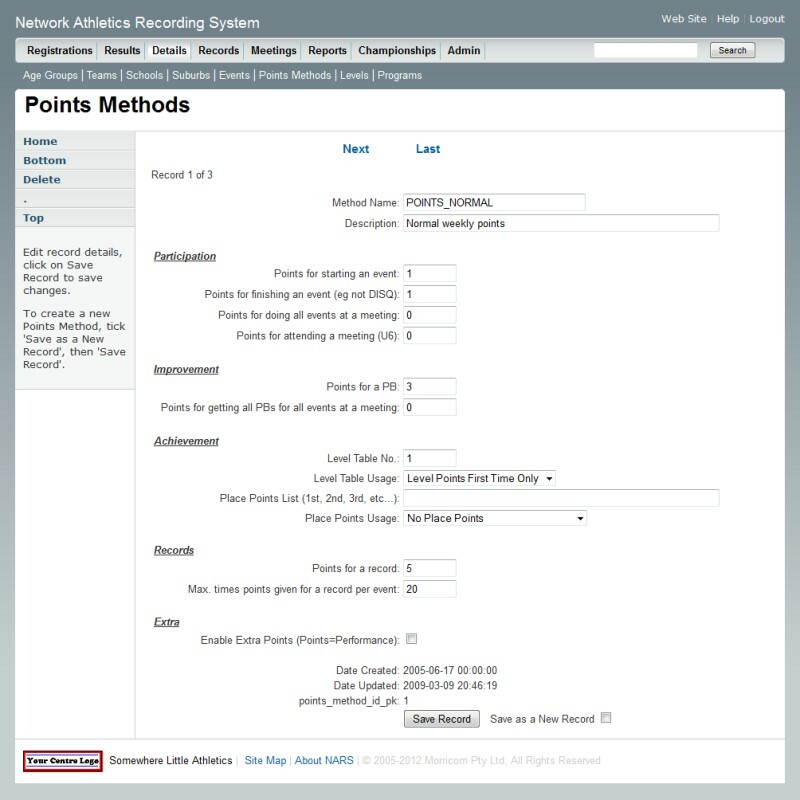 NARS can also be set up at your athletics centre on a LAN. and retrieval. The transactional database used by NARS protects your centre data from corruption and loss of referential integrity. If, for example, an uploaded file cannot be processed entirely then any data changes are automatically rolled back to protect the database integrity. provided for within the system (eg recorder, administrator). 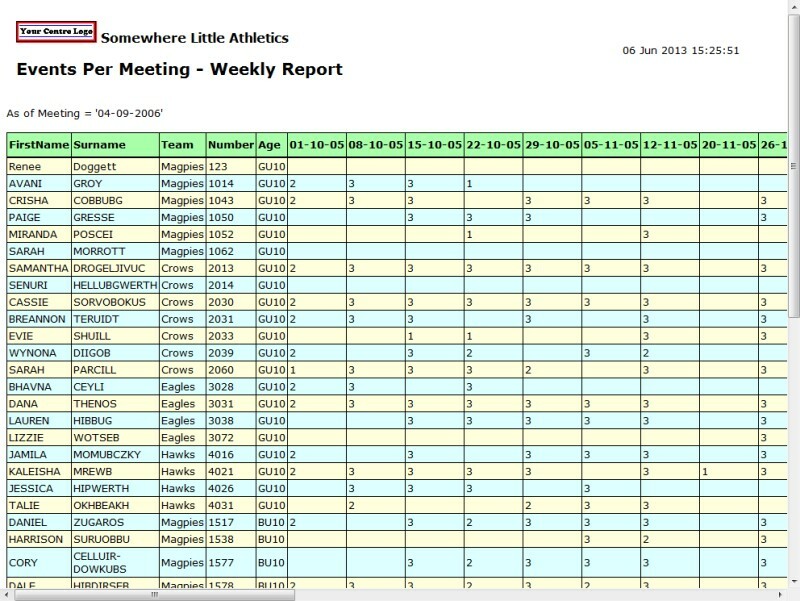 PB’s, Stickers, Points Methods, Certificates, and many Weekly and Season based reports. 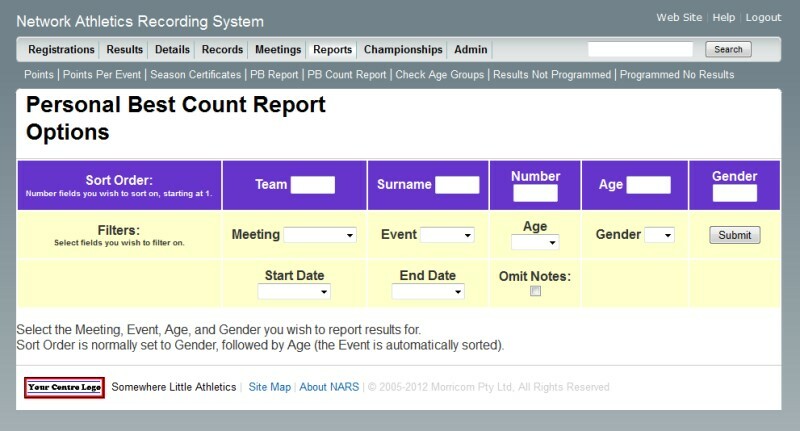 integration of results, PB's, tickets, and records to your centre's web site. For further information, or for a FREE trial on our Demonstration System, please contact us. Home | NARS | NARS Barcoding | Downloads/Links | About Us | Contact Us | Payments | ©2018 Morricom Pty Ltd.